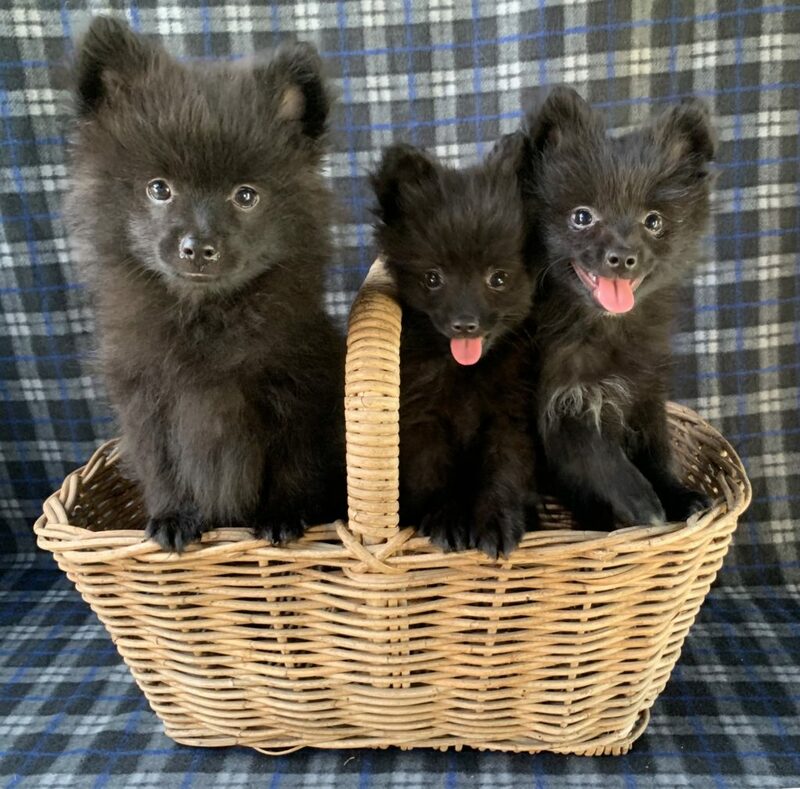 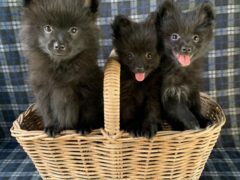 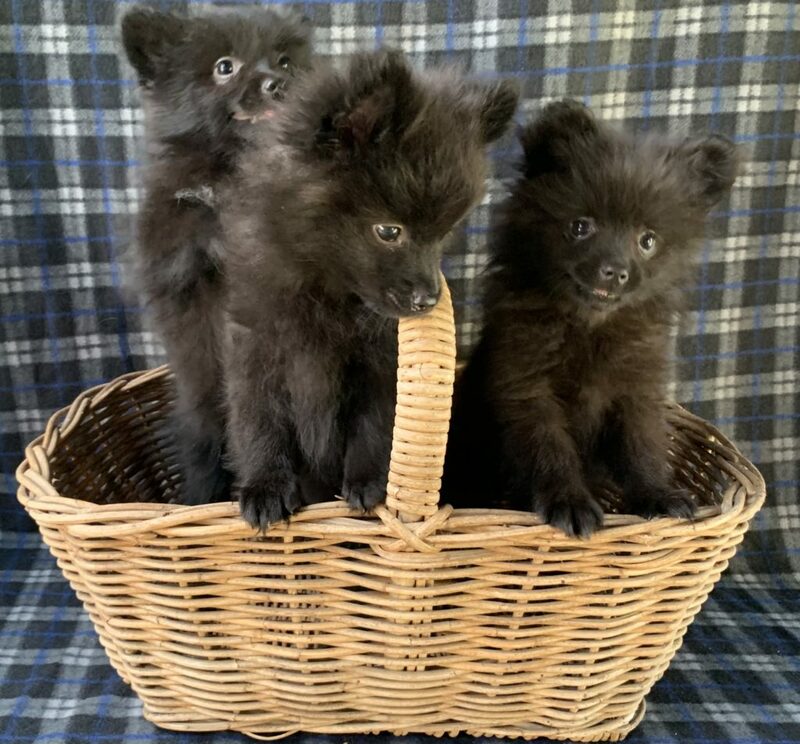 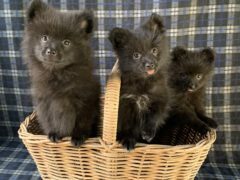 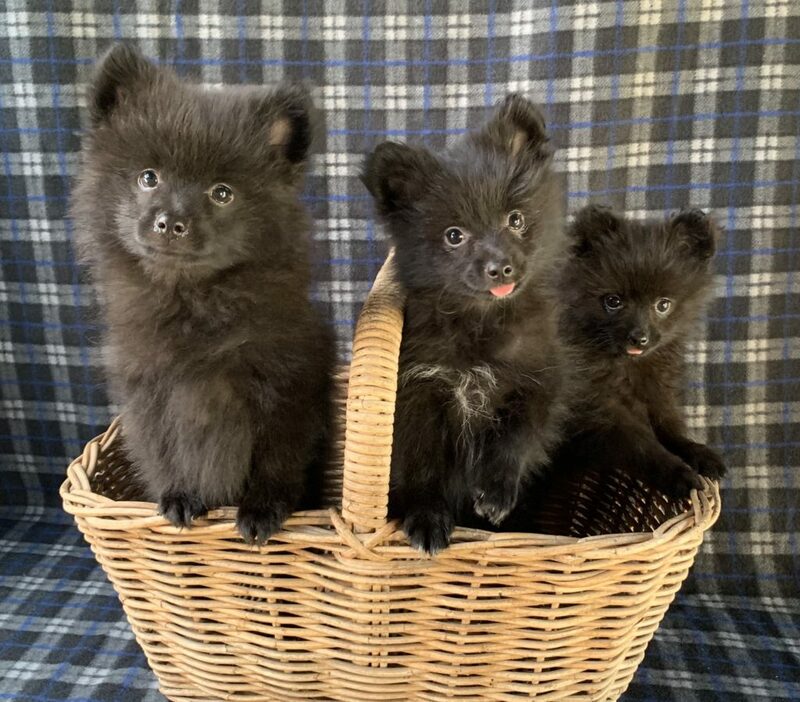 Pure Pomeranian puppies available now. 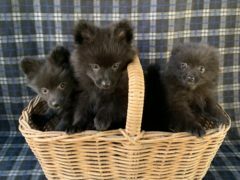 we have 3 black puppies left 2 girls and 1 boy. 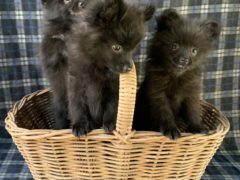 The boy is the bigger one in the photo. 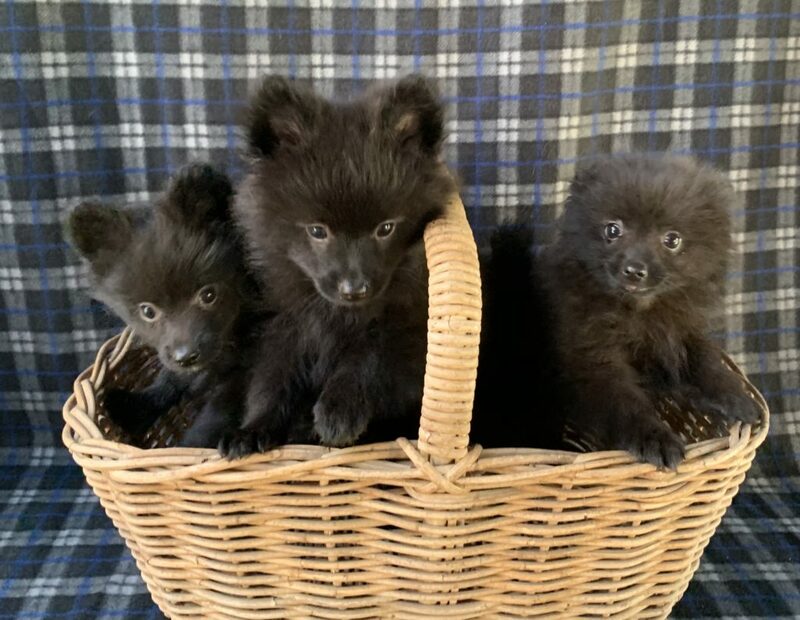 they have had their first vaccination and are microchipped, up to date with worm and flea treatments.